Want to bring a smile to every guest during your next party or event? For this, nothing beats our SnoCone Machine, one of the many concessions that we offer at Waco Bounce House Rentals! 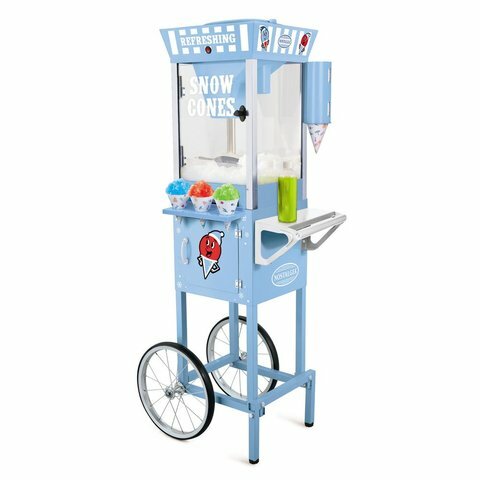 The SnoCone Machine gives you everything that you need to get going, including the machine itself, 50 cones, and a variety of delicious syrups in flavors such as coconut, lime, and cherry! Provide your guests with this summer favorite, and check out our other concession and party accessories to round out your party experience! We offer 5 flavors to choose from and every order comes with 2 flavors. Grape, Cherry, Strawberry, Coconut and Tiger's Blood. Please add in the notes portion of your order the 2 flavors you would like to have with your rental. Our SnoCone machine comes with enough supplies for 50 servings with cones. Additional servings can be ordered to accomodate larger parties. We do not supply the ice.